Apple introduced the Breathe app two years ago at its annual Worldwide Developers Conference. However, third-party breathing apps have been available on the App Store since it launched 10 years ago. Even then, it was not a new idea. You must go back a lot further than a decade to discover the Breathe app’s true origins — at least 1,600 years. In 4th century India, Sage Patanjali wrote the Yoga Sutras, one of the most important works in the Hindu tradition and the foundation of classical yoga. This ancient Sanskrit text describes the eight components of yoga. One of these is “pranayama,” which is the practice of consciously regulating breathing. There are a variety of different pranayama techniques. Some involve holding your breath, while others focus on the rate at which you breathe. Normally, you take an average of 15 to 18 breaths per minute, but the Breathe app defaults to seven breaths per minute. So the effect of using it is to slow your breathing down by taking longer, deeper breaths. In other words, when you use the Breathe app, you are drawing on the similar principles to the ancient yoga techniques of pranayama. Chopra collaborated on another breathing app with yoga teacher Eddie Stern, app developer Sergey Varichev and musician Moby. Their app, called simply The Breathing App, is a free download for iPhone. It provides a great alternative to Apple’s Breathe app, especially if you don’t own an Apple Watch. Stern says this harmonious state has a positive impact on our nervous systems. There are two aspects to the autonomic nervous system: The sympathetic nervous system responds to threats and stress by activating your body (the “fight or flight” response), whereas the parasympathetic nervous system helps you slow things down. When you use the Breathe app, your Apple Watch monitors your Heart Rate Variability (HRV) and logs it in the Health app on your iPhone. By tracking the changes in this metric over time, you can see if the Breathe app is helping you. There is some scientific evidence to suggest that it might. This is all well and good in theory, but perhaps the best indicator of your stress level is how you actually feel. So why not give the Breathe app a try, and find out if it helps you calm down? The Breathe app serves as a “stress reset button” for your nervous system. The Breathe app is very simple and easy to use. When you launch the app, you’re presented with large text that says 1 MIN by default. This is the duration of your breathing session, and you can change it by scrolling the Digital Crown. One minute is not very long. If you like using the app, you may want to increase the default duration. To do so, in the Watch app on your iPhone, go to My Watch &gt; Breathe and turn on Use Previous Duration. The Breathe app allows a maximum duration of five minutes, but you might want to consider longer sessions than this. Eddie Stern recommends practicing resonant breathing for between 10 and 20 minutes a day to get the full benefit. 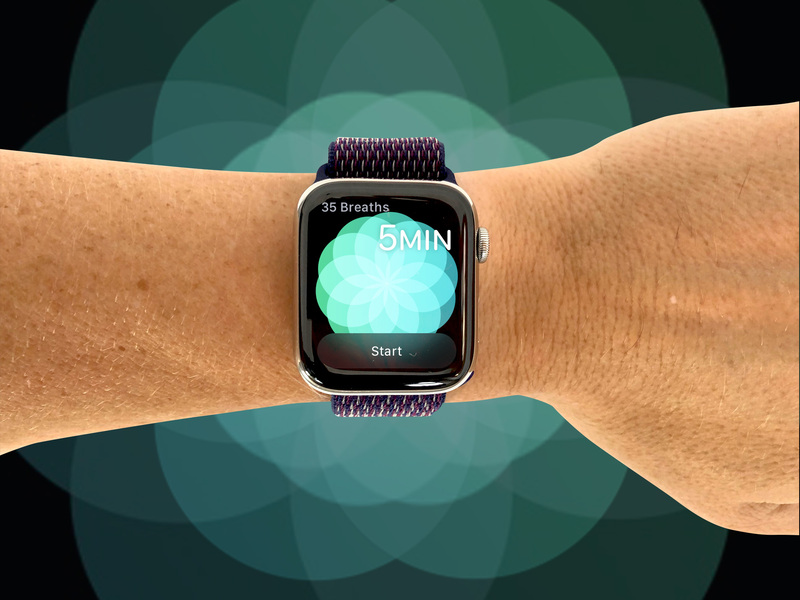 Apple presents a beautiful green kaleidoscope effect as a visual indicator to show you when to breathe. It looks a bit like the petals of a lotus flower opening and closing. When you tap the Start button, the kaleidoscope image shrinks to a single green dot as the device waits for you to settle down. You can sit or lie in any position you like, as long as you can stay still in that position for the entire session. 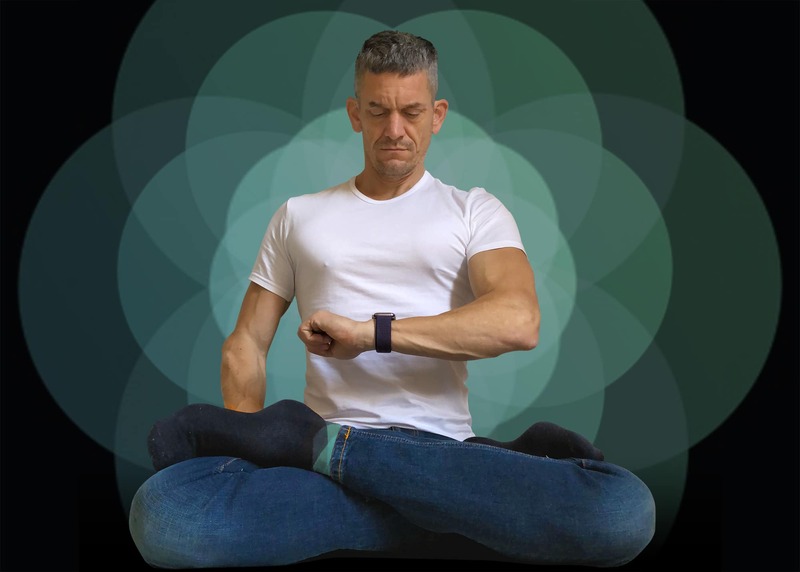 The accelerometer in your wrist will detect any excessive movement, and immediately end your session without logging it. So it’s a good idea to rest your wrist in your lap, where you can keep it still while seeing it easily. Once you get settled, the kaleidoscope begins to animate, expanding and contracting. You breathe in when it expands and breathe out when it contracts. I like to close my eyes during a breathing session, which means I can’t see the kaleidoscope. Fortunately, Apple Watch also gives you a series of gentle haptic taps on the wrist to let you know when to breathe in. You can adjust these haptic taps in the Watch app on your iPhone to make them more prominent if you can’t feel them. Or you can turn them off altogether if you find them distracting. Remember, resonant breathing is a form of meditation, so avoid any distractions. It’s a good idea to find a quiet space for your session. Apple helps you concentrate by muting your notifications while you use the Breathe app. If you do answer a phone call, the Breathe app will cancel your session automatically. If you notice that your mind is wandering during a session, bring yourself back to the present moment by focusing on your breath. Using the Breathe app is easy. To let you know when you’ve finished, your Watch gives you a double tap on the wrist and the screen says “Well done.” Then you get a summary screen showing the number of minutes you’ve used the Breathe app today, and your average heart rate during the last session. For a more detailed view, check the Health app on your iPhone. Go to Health Data &gt; Mindfulness &gt; Mindful Minutes to get a chart of how much breathing you have been doing in the past day, week, month or year. To see the heart rate and HRV readings taken while you use the Breathe app, go to Health Data &gt; Heart. You might notice that Apple Watch logs your HRV when you use the Workout app as well as the Breathe app. Since lower HRV levels are an indicator of stress, and exercise puts your body under stress, you can expect to see lower HRV readings during workouts than during Breathe sessions. The Breathe app provides summaries to show you how you’re doing. By default, Apple’s Breathe app is set to seven breaths per minute. Eddie Stern’s Breathing App recommends six breaths per minute for resonant breathing. Everyone is different, so ultimately you need to find the rate that feels comfortable and relaxing for you. If you want to adjust this, go to the Watch app on your iPhone. Tap on My Watch &gt; Breathe &gt; Breathe Rate. You can select between four and 10 breaths a minute. To get the full benefit of resonant breathing, Stern recommends that you do it daily. Apple’s Breathe app lets you schedule reminders between one and 10 times a day. The timing of these notifications is pretty smart — your Apple Watch waits until you have a quiet moment (when your wrist is not moving) before suggesting you begin a session. It’s not just for regular daily sessions, either. If, like me, you suffer from the occasional anxiety attack, you might find it helps to use the Breathe app to calm down when you are feeling particularly stressed. In watchOS 5, Apple added a new Breathe watch face. 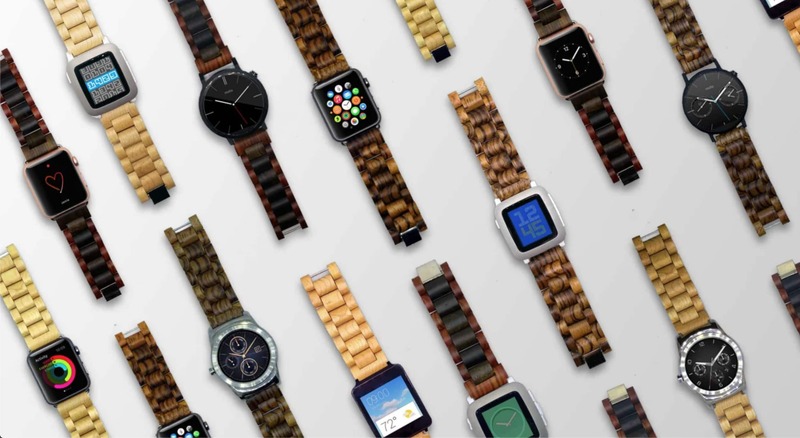 This is more for looks than functionality, since you can’t actually log a session directly from the watch face. Tapping on it launches the app. The Breathe watch face comes with two cool new alternatives to the classic kaleidoscope animation. Dubbed “Calm” and “Focus,” they’re both pretty nice and worth checking out. Sadly, you can’t currently use these within the Breathe app itself. 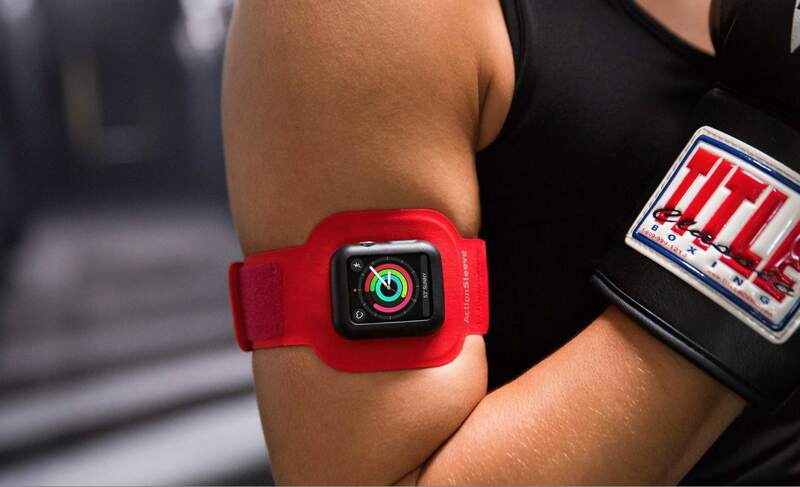 Most of the apps on your Apple Watch are designed to keep you busy: Sending you reminders, keeping you constantly in touch, and logging your workouts. So it is a thoughtful move on Cupertino’s part to also include an app that provides a change of pace. From my own experience, I know how important it is to my health and wellbeing to regularly take time out to relax. Learning to manage my stress levels literally helped save my life. If you find yourself under a lot of pressure, and feel your stress levels constantly rising, why not give the Breathe app a try? It only takes a couple of minutes, and it could turn out to be the most important thing you do all day.